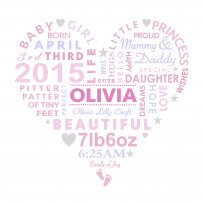 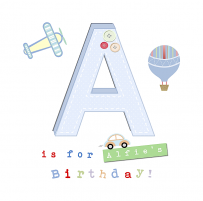 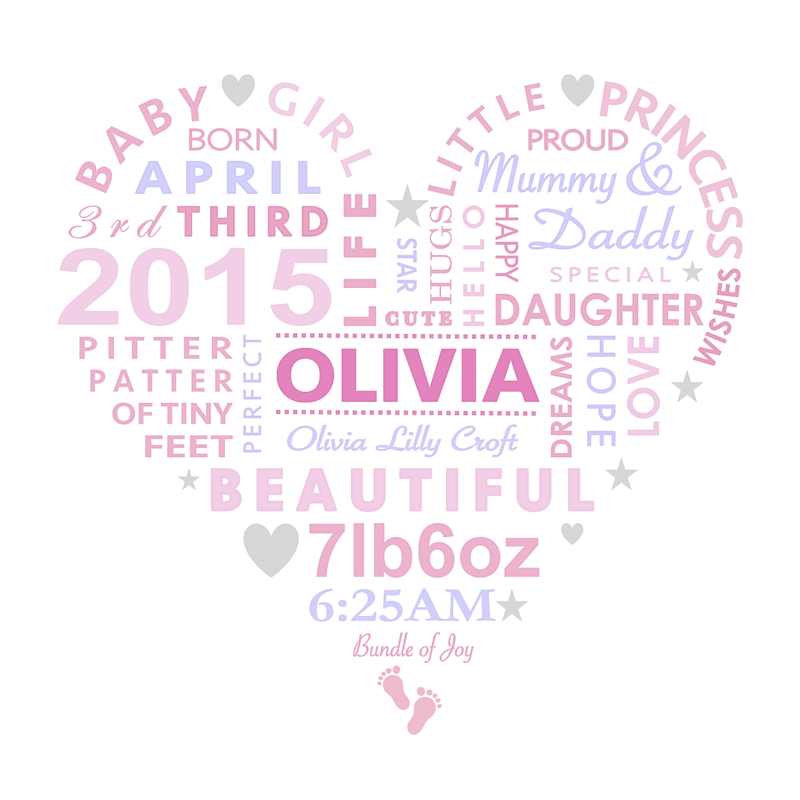 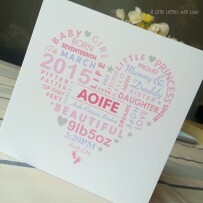 A Unique new baby card, with all baby's birth details printed on beautiful high quality 300gsm smooth premium matte card, 140mm square with envelope. Inside is blank to write your own message. 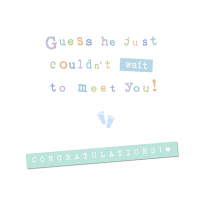 add a printed personal message inside card? 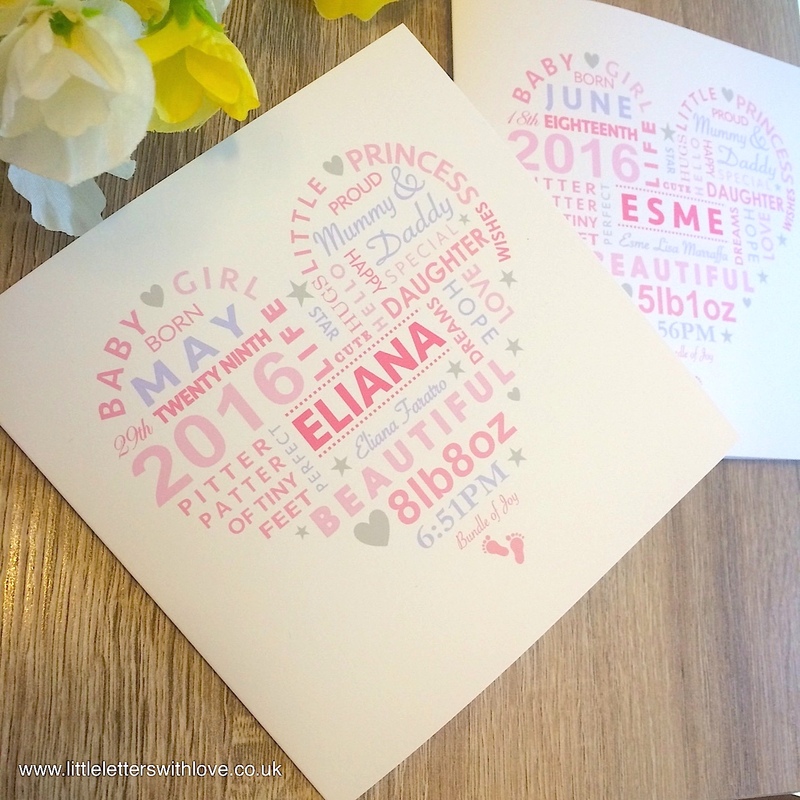 Categories: All Cards, Baby Birth Cards.